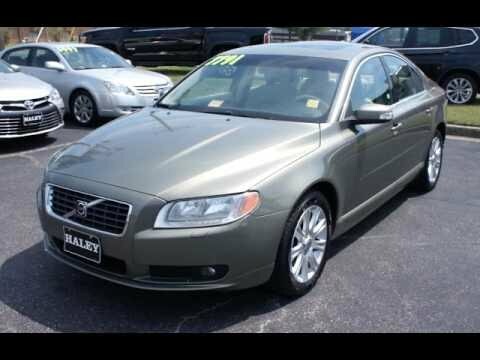 Very nice Volvo, sunroof, comfort, and more. I really enjoy my Volvo. It is a larger luxury sedan and sits people comfortably. The dash is large and the car drives really well. The acceleration is quick and reactive. The mpg could be much better, so that is one of the main issues I have had, since I spend more money on it. It has an incredibly smooth ride. The interior is very comfortable and sound proof. The legroom, headroom, and trunk space are ample. The engine allows for a quick take off and eventual good speed, but, I miss the 'zip' of my previous sports cars. It gets good gas mileage and is a great road trip car. I love my car. It feel very luxurious but without the price tag. The seat warmers in the front and back are awesome. The only negative is the air vents in the back are very small and the kids get hot often.